The Polish Jinx: I'm Back! So after four long months of messages and comments (which I appreciate more than you will know) I am back! Its been a LONG four months. I started a new job days after getting back from Las Vegas mid April, finished writing all my exams for the semester and was ready to get going again after a few week break when a lot of personal stuff kind of snowballed. I am sorry for my long absence and the blog will be back up and running, business as usual by mid week. Today however, I thought I would share this picture with everyone. A project I took part in a few months ago while in NYC sadly created some tension. I learned that unfortunately a lot of my family is far less open minded (is that a nice way to say what I am actually thinking? Trying to not be so disrespectful here) than I would have hoped. And when I saw how many people this STILL offends and insults it just makes me want to share it more. 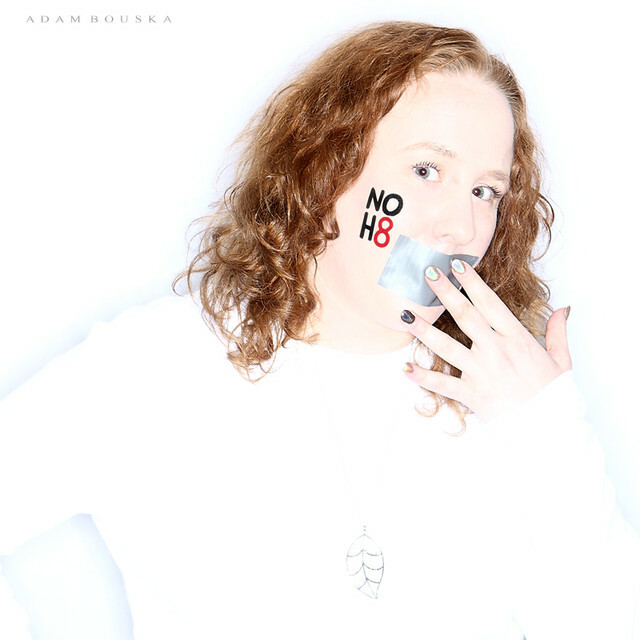 Celebrity photographer Adam Bouska started the NOH8 campaign in 2008 as a direct response and social protest against Proposition 8 and to stand for marriage equality but the project has grown to stand as a statement against discrimination and bullying of all kinds.